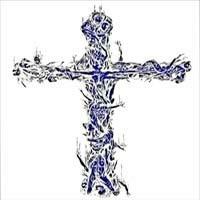 For many people their closeness to faith and God is represented with body art crosses. The cross is a well known symbol in Christianity and is used, in conjunction with Jesus Christ, as the representation of the crucifixion. For many devout Christians this is a chief reason for getting body art crosses. 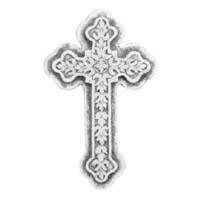 The cross is not only a symbol for Christians but is present through many other religions and cultures. 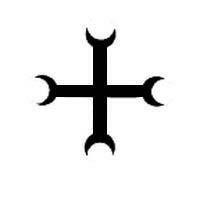 The Pagans, for instance, view the cross as a symbol of the four points of a compass: north, south, east and west. 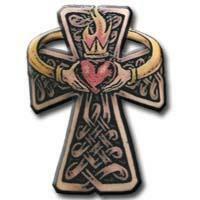 Other belief systems have fairly similar connections including Wiccans, which have used the cross as a determination of the elements: earth, wind, fire and water. 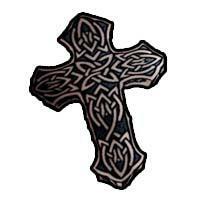 There are many types and styles of crosses that exist in the Christian religion as well as other cultures that make for good examples of possible body art. 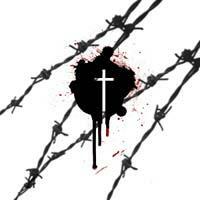 The Christian cross is relevant to the crucifixion of Christ but is not necessarily the crucifix. Many people get the cross as body to represent their belief in God and Christ. They may also use it as a symbol and a reminder of their own self sacrifices and pain. The cross can either be used alone; stylized to fit your personality, or it can be used with the body of Christ as a memoriam tattoo for a fallen friend or family member. 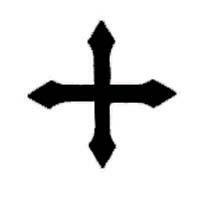 Although many crosses are chosen due to some significance, some crosses are used as body art just because they look cool. 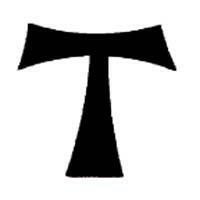 Placement of the cross is not as important as the significance of the cross itself. 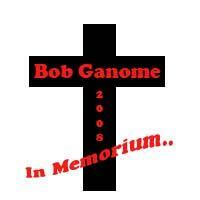 For many, placing the cross on the upper arm is the safest place. 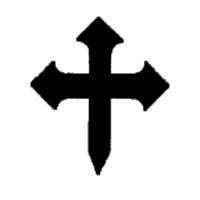 Other possible locations for the cross include the chest, over the heart or on the back with the top starting just at the neck. 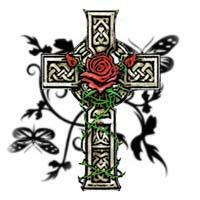 Celtic crosses contain elaborate knot work that has no beginning or end. These types of designs are very complicated, which makes it important for you to take great care in selecting a tattoo artist. 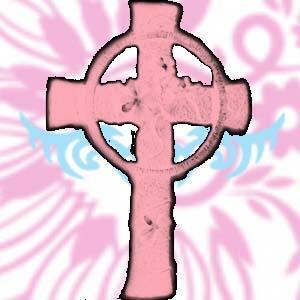 A popular design choice is the triquetra, which is a compact cross with three points that is shaped like a triangle. 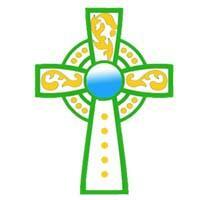 The triquetra is representative of the Father, the Son and the Holy Ghost and is also known as a trinity knot. 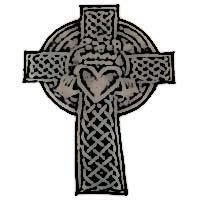 Many popular forms of the Celtic cross also contain a circle in the design at the connecting points of the cross. These designs predate Christianity, giving them a storied history that dates back to the early Celts, Druids and Pagans. The circle is representational of the circle of life much like the infinity loop. Although you can place a Celtic cross virtually anywhere on your body many prefer them on the upper arm, back or as a complete back tattoo. Celtic cross body art is often adorned with flowers or jewels to add a pop of color to a design that is nearly always done in black or dark gray. Tribal tattoos are thick and sharp and done only in black ink. 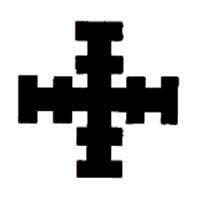 The tribal cross first saw the light of day during the Crusades. 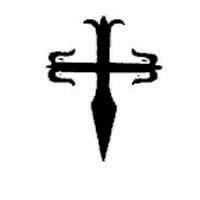 The knights from Europe that were off fighting in Turkey and other lands would tattoo crosses on themselves. They did this in order to indicate to the priests of the day how they would like to be buried in case they were killed in a land far from their home. 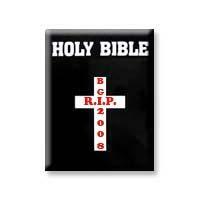 They did this despite the fact that tattoos and other body modifications were prohibited in biblical writing. 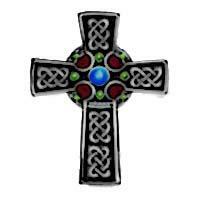 Due to their relatively unsophisticated nature, the tribal cross can be placed nearly anywhere on the body, in any size. They can also be easily worked into previous designs.